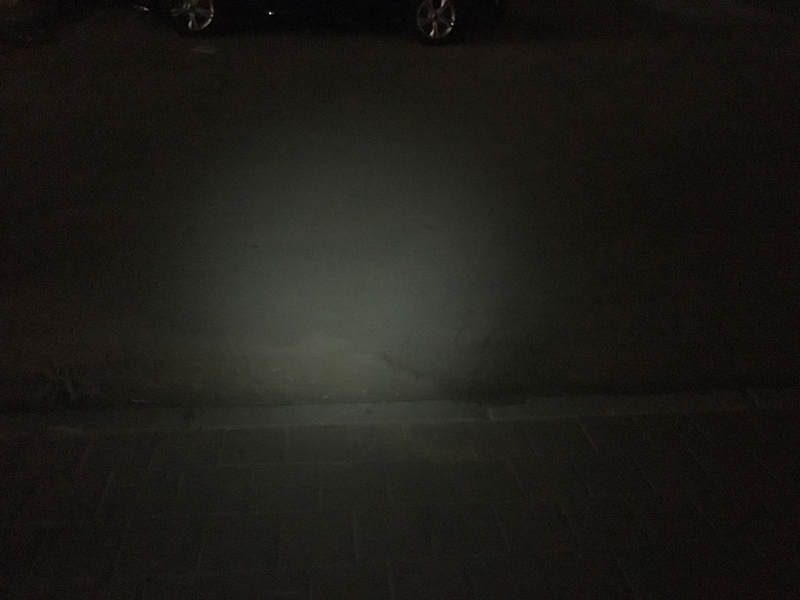 This review will be dedicated to a new AAA flashlight from Olight, the I3R IOS. What’s interesting here? 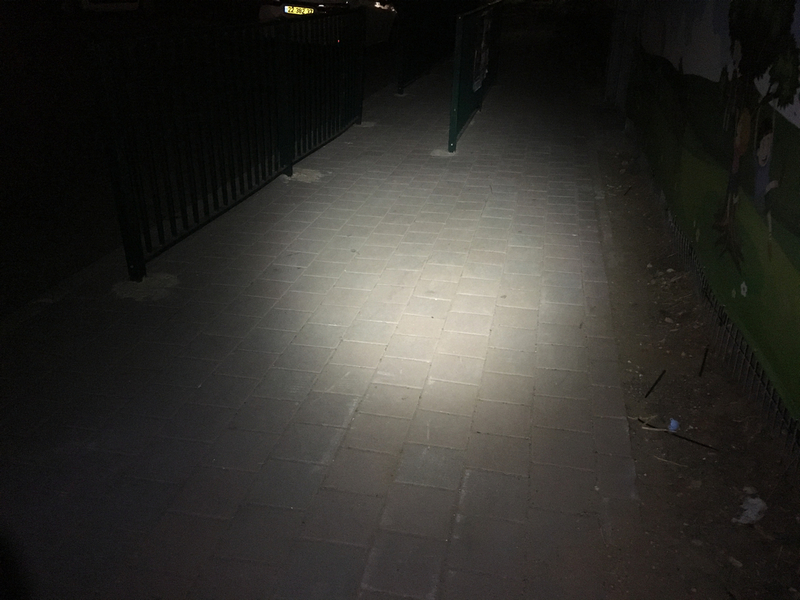 Well, the light manages to be able to output 180 lumen from alcaline AAA battery. 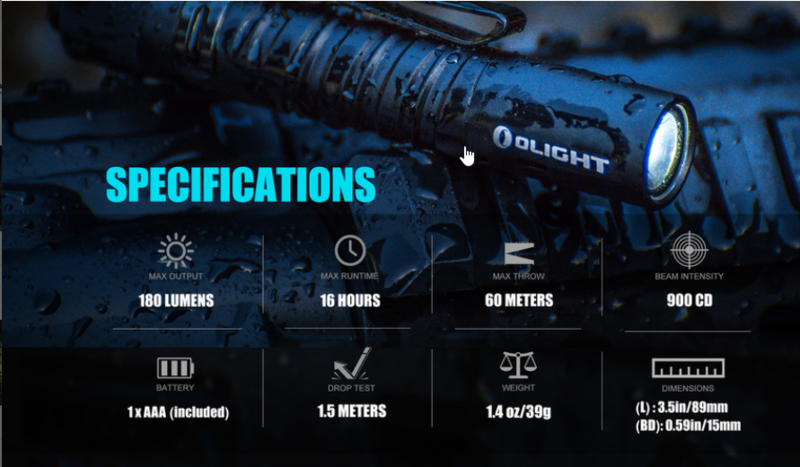 It’s really great, Olight can be really proud by such achievement. Also, the price is nice for such a light – MAP of less than 20$. 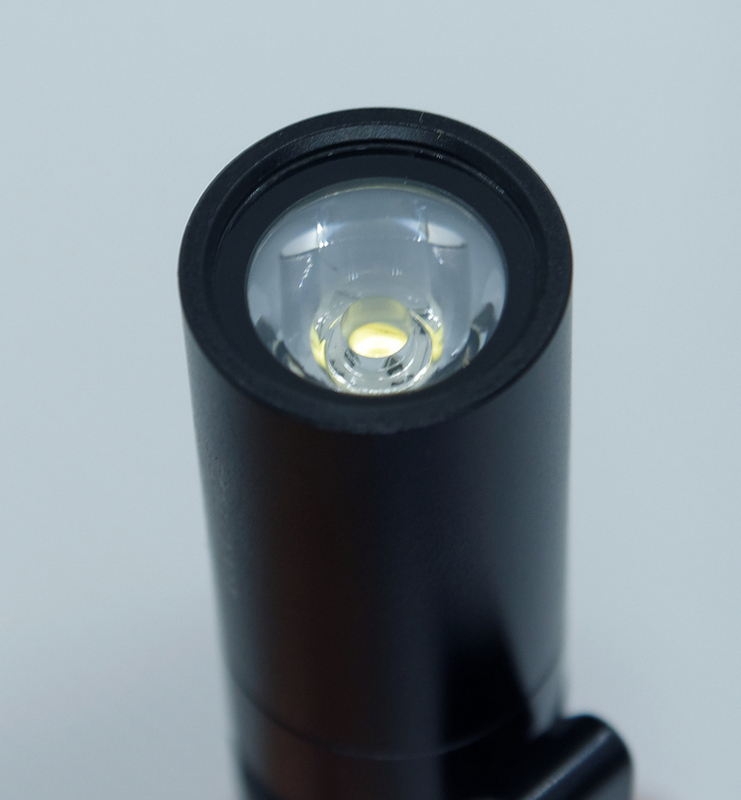 The light comes in a small mostly white box, just like other new Olight models. 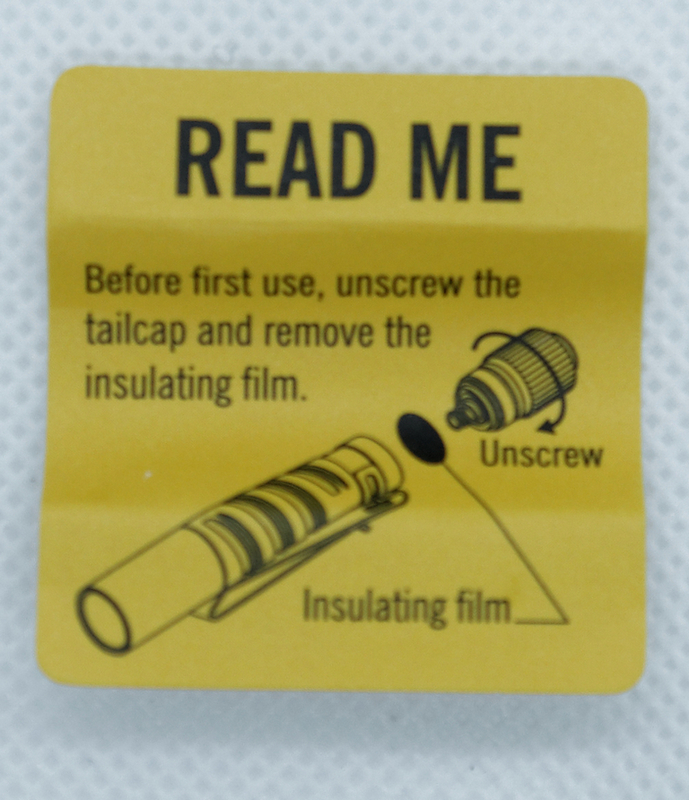 Inside the box you can see a warning, about the need of removal of the protective insulating film (the light won’t turn on unless it’s removed). The light comes with Alkaline cell preinstalled. 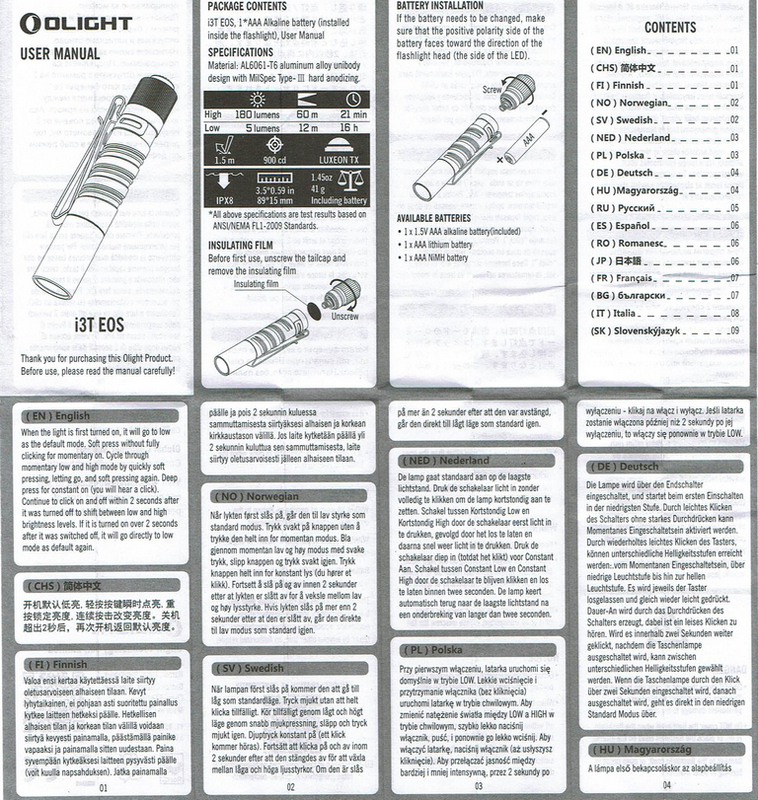 User manual scans. 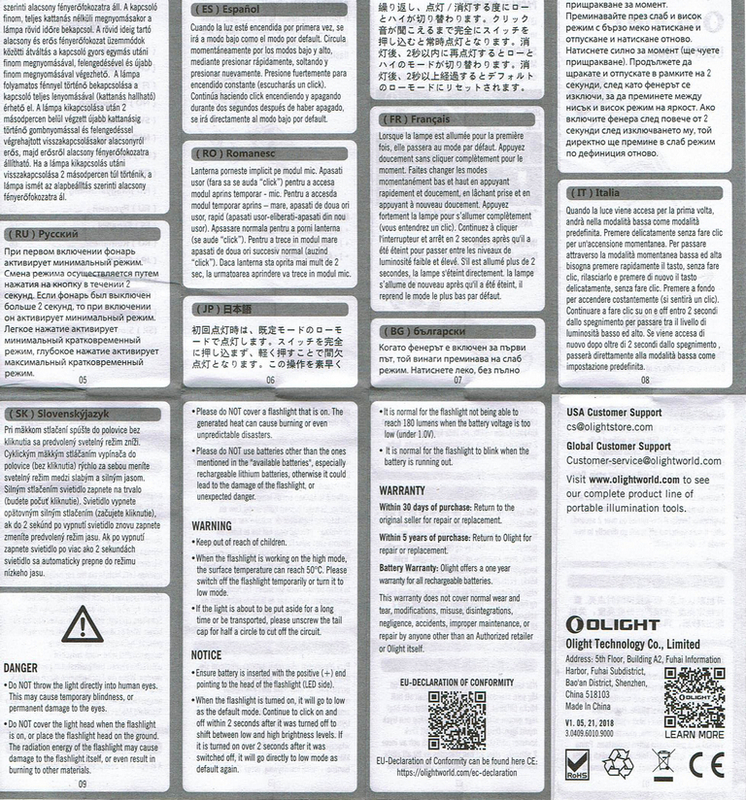 This is one of the light where you can just skip reading the manual, as it’s very easy to use. The light is being controlled by reverse clicky switch, meaning that you can switch modes before actually setting the mode. The light always turns on in low mode, and half clicking the button switched modes between low and high. 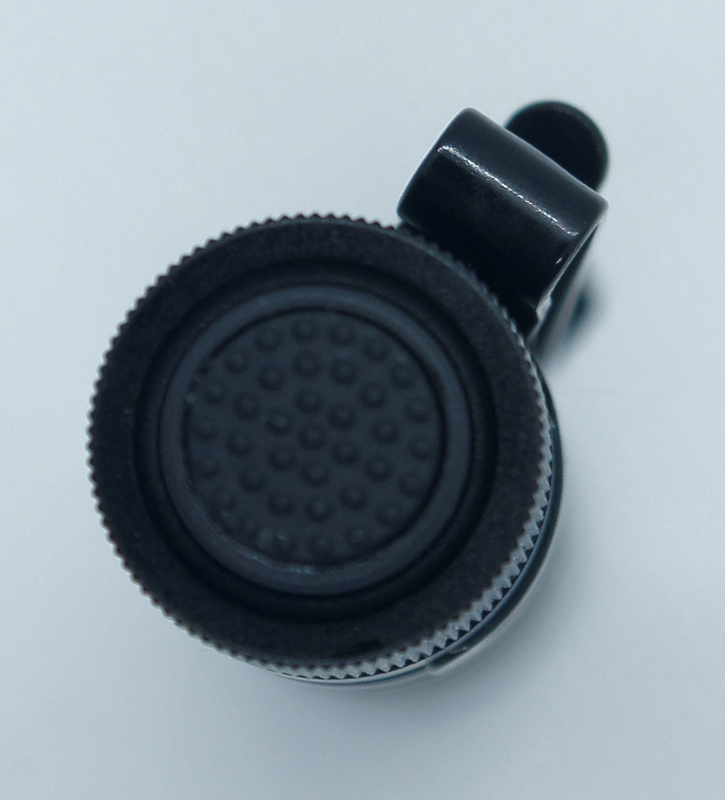 The button itself is made partly from resin/silicone and partly from plastic – very nice and sturdy feel. 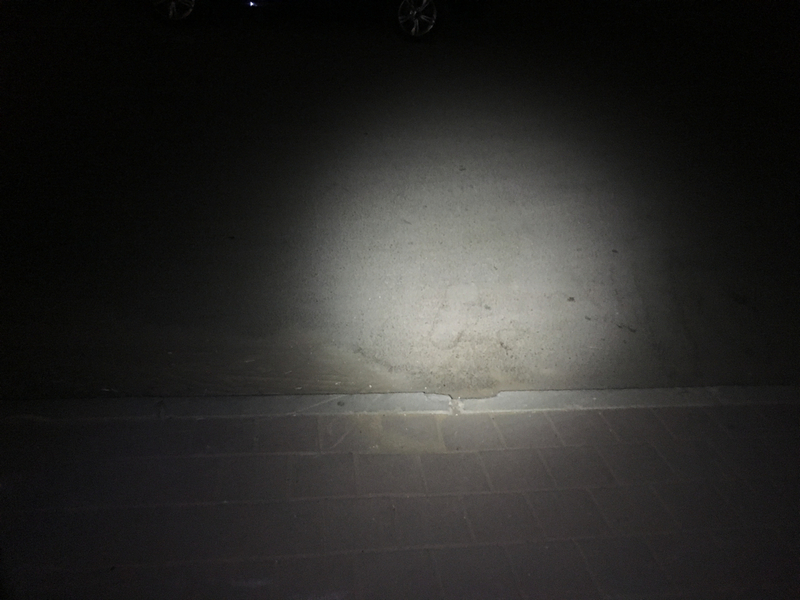 Regarding the feel and positioning – the light may look like a classic keychain light, but according to Olight it’s not. For once – it misses the ring to be able to fix it to the keys. 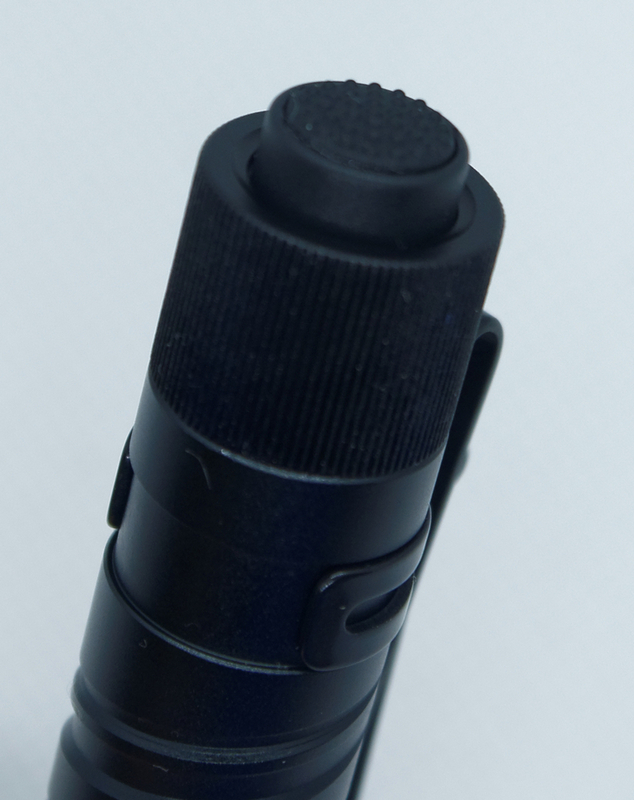 Second – the T in I3T stand for Tactic, meaning that it’s supposed to be some king of tactic backup light. The knurling is very unusual – the light surface is smooth, but has a double spiral on it – double helix design according to Olight. Well, it does it’s job, the light feels nice and stable even in wet hands. Notice the double way clip – you can also fix the light to your cap if needed. The TIR optics are located behind a protective glass – a solution we don’t see often. Too bad the glass does not have AR coating. 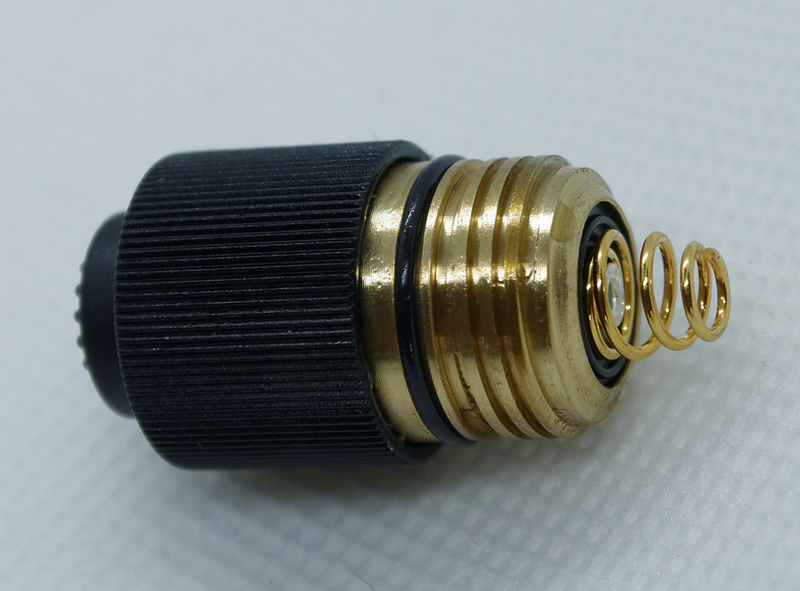 The taicap seems to be made from brass, has much lubrication from the factory. The tailcap is easily removed, thanks to the horizontal lines applied. The low mode can be enough to be used indoors, but outside you better use the maximum mode. There is no PWM on any mode. The tint is classic CW, not too cold and surely not warm. Great, especially considering the price. What was just a dream couple of years ago – 180 lm from aaa alcaline – is now a reality. I’ve had mine for over a month now and it is a handy little light. I should have my copper one any day now, I doubt that will get as much carry time just because of the weight factor. The i3T is much better than the Microstream imo, I carried that for a while but the hard to engage switch really killed it for me. The Olight switch is way nicer plus it has 2 modes.